The water is flowing into the Epperson Lagoon, which means this game changer is on its way to Pasco County. 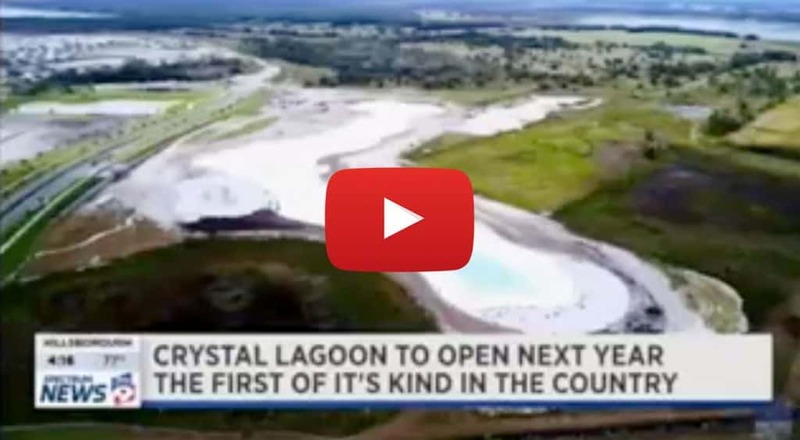 The highly anticipated Metro Lagoon by Crystal Lagoons at Epperson in Wesley Chapel has begun to fill as of last week, and the plans for its grand opening are well on their way. Bay News 9’s Reporter Al Ruechel recently spoke of the Epperson Lagoon and the Grand Opening during a live broadcast. He referred to the lagoons as “the centerpiece to the Epperson housing development in Wesley Chapel” with great features. These include “a swim up bar, restaurant, waterslide, kids areas” amongst many other features. The lagoon’s 7-acres of water promise to make residents feel like home is paradise every single day. Download the Epperson Digital Brochure and be among the first to make this beautiful element part of your home.